On February 7, 2012 the Astroterps took an excursion to the observatory to collect images of asteroid Kalliope and its satellite Linus. The Astroterps were able to discern a measurable difference between an unobscured Kalliope light curve, and one where Linus cast a shadow on its host. 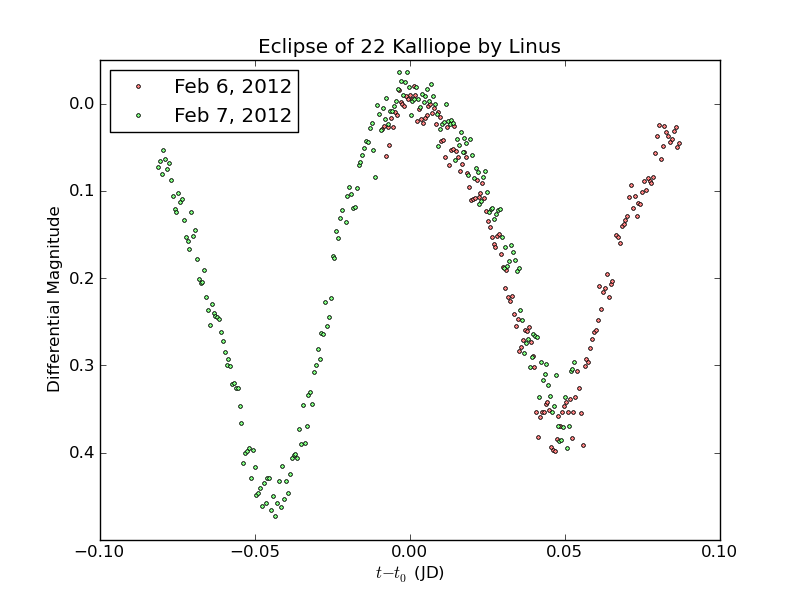 The plot on the left is a light curve of Kalliope and its satellite Linus. The periodic change in intensity of the system comes from the rotation of the bigger asteroid Kalliope. The green data set was an observation of the system on a normal night, but the red set was taken on a night when the shadow of Linus crossed over the surface of Kalliope. The resulting difference is slight, but measurable. The plot on the right is the difference between the two light curves where they overlap. 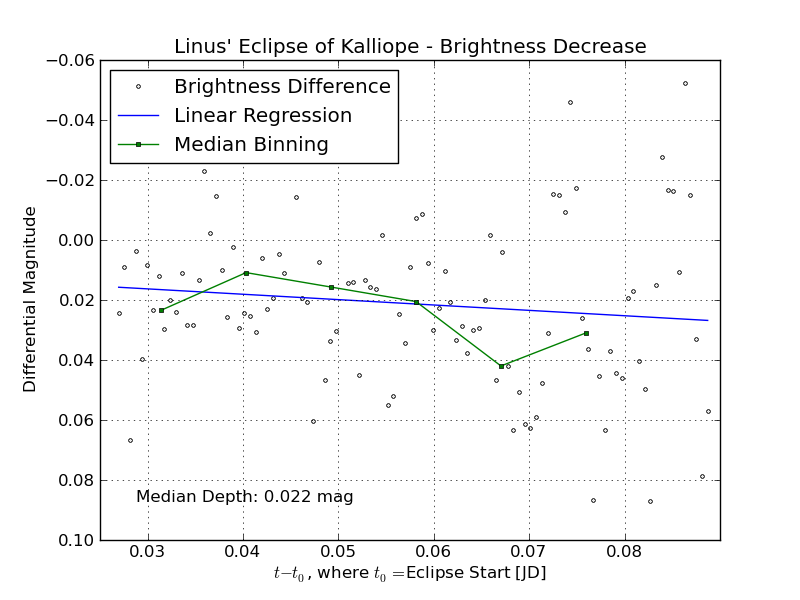 Linus’ shadow dimmed Kalliope throughout this period, which is detectable in the positive measurement of the magnitude difference — about 0.022 mag.